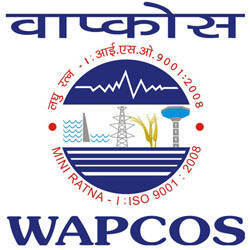 Water and Power Consultancy Services Limited (WAPCOS) Ahmedabad Published Recruitment Notification for Engineer (Civil), GIS Supervisor / Technician, Junior Engineer (Civil) and Surveyors Posts on Contract Basis for its ongoing Projects at Ahmedabad against Project Requirements in Gujarat Region. Qualification : B.E. / B.Tech. (Civil) from a Recognized University. Experience : Minimum 02 years of Experience in the field of Investigations, Planning, Designs, Construction, Operation, etc. Qualification : Graduate in Geography / Science with PG Diploma in GIS & Remote Sensing from Recognized University. Experience : Minimum 2-3 years of Experience. Qualification : Diploma (Civil) from a Recognized University / Institute. Experience : Minimum 01 year of Experience in the field of Investigations, Planning, Designs, Construction, Operation, etc. Experience : Minimum 02 years of field Experience of Survey Work. Send Application to This Address : Chief Project Manager, WAPCOS Limited, SSP Field Unit, 1st Floor, “Sadbhav Complex”, Near Drive in Cinema Road, Ahmedabad - 380054 (Gujarat).